A problem-based hypermedia learning environment for middle school science was examined to understand how it affected the performance and attitudes of students at different ability levels as they used the program. The findings showed that the enriched presentation of the knowledge base and the more effective delivery of cognitive tools through hypermedia provided needed scaffolding to all students. As a result, not only students in gifted education but also students in regular education performed well in this environment. Students, who speak English as a second language or have some learning disability, also benefited from using it. The amount of gain in students' science knowledge and problem-solving skills was related to their prior knowledge level. This study also indicated no gender difference in the performance, nor in the attitudes among the students. Girls performed equally well and had positive attitudes toward the environment and learning science as a result of using it. Liu, M. (2003). The Effect of A Problem-Based Hypermedia Learning Environment on Sixth Graders’ Performance and Attitudes. In D. Lassner & C. McNaught (Eds. ), Proceedings of ED-MEDIA 2003--World Conference on Educational Multimedia, Hypermedia & Telecommunications (pp. 842-848). Honolulu, Hawaii, USA: Association for the Advancement of Computing in Education (AACE). Retrieved April 23, 2019 from https://www.learntechlib.org/primary/p/13893/. Farnsworth, C. (1994). Using computer simulations in problem-based learning. In M. Orey, ed., Proceedings of the Thirty-Fifth ADCIS Conference (pp. 137-140). Nashville, TN. Omni Press. Gallagher, S.A. (1996). The effect of problem-based learn ing on comp lex though t. Presentation at the annual meeting of the National Association for Gifted Children. Indianapolis, November. Germann, P.J. (1988). Development of the Attitude toward science in school assessment and its use to investigate the relationship between science achievement and attitude toward science in school. Journal of Research in Science Teaching. 25 (8), 689-703. Hoffman, B. And Richie, D. (1997). 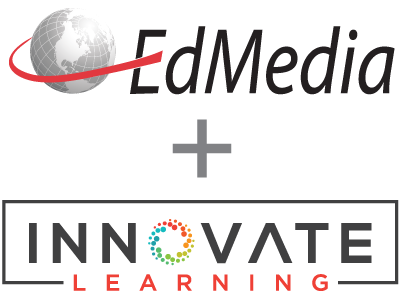 Using multimedia to overcome the problems with problem based learning. Instructional Science, 25 , 97-115. Lim, K. (2002). Impacts of personal characteristics on computer attitude and academic users information system satisfaction. Journal of Educational Computing Research. 26 (4), 395-406. Liu, M, Williams, D., and Pedersen, S. (2002). Alien Rescue: A Problem-Based Hypermedia Learning Environment for Middle School Science. Journal of Educational Technology Systems, 30(3), 255-270. Loyd, B.H. And Gressard, C. (1984). Reliability and factorial validity of computer attitude scales. Educa t iona l and Psychological Measurement, 44 , 501-505. Miles, M.B. And Huberman, A.M. (1994). Qualitative Data Analysis (2nd ed.). Thousand Oaks, CA: Sage Publications. Norman, G.R., and Schmidt, H.G. (1992). The psychological basis of problem-based learning: A review of the evidence. Academic Medicine, 67 , 557-565. Savery, J.R. And Duffy, T.M. (1995) Problem Based Learning: An Instructional Model and Its Constructivist Framework, Educa t iona l Techno logy , 35 , 31-38. Schmidt, H. (1995). Problem-based learning: An introduction. Instructional Science, 22 , 247-250. Stepien, W.J., Gallagher, S.A., and Workman, D. (1993). Problem-based learning for traditional and interdisciplinary classrooms. Journal for the Education of the Gifted, 16(4), 338-357.